Gerflor set new ‘Premium’ path for their Taralay range with acoustic vinyl flooring .. There are two big factors we should consider when we’re making a decision about what we buy. Whether you’re shopping for a pair of jeans, or you’re buying a home. It’s all about the price and is it a premium product? It is easy to cut corners where you think it’s a small purchase, such as clothes or cleaning supplies and go just for price or invest your budget on quality because you think you should or it’s an infrequent buy, like a car or a house. At international flooring specialists Gerflor they fully understand that ‘premium’ should mean exactly that, and in flooring terms it must deliver a world class quality product that really stands out. A new generation of flooring is heralding a new dawn in providing the ultimate and unrivalled high traffic solution with Gerflor’s latest Taralay Premium collection of hard-wearing, uber-performing flooring which is designed for today’s modern life. The Premium range from Gerflor is truly unique in delivering a mass coloured design flooring which offers outstanding performance for extremely high pedestrian traffic areas including education, healthcare, hospitality, offices, retail and a host of contract environments where high footfall is expected. One of the new collections for 2018 and 2019 is Taralay Premium from Gerflor, an incredibly hardwearing and colourful flooring collection for a host of creative spaces with a palette of 80 trendy colours and designs to choose from. Some colours are of the kept designs (Metallica, Osmoz, Brazilia and Indiana) and some have been refreshed to offer an updated and harmonized palette. The additions to the collection sees 18 new colours being added to their best-selling Taralay Premium ranges, together with 2 new designs; Poesy which has a random terrazzo effect thanks to the pearly and metallic flake patterns used, and Neopolis which is again inspired by the terrazzo effect with clean, neutral urban lines delivering both depth and emphasis. These new exhilarating designs offer designers an added spectrum of choices and effects. Taralay Premium Compact and Comfort has a homogeneous wear layer for outstanding durability and long-lasting appearance. A multi-layered construction for an excellent dimensional stability and offers the best acoustic and indentation performances thanks to a Very High-Density Foam Backing. Ideal for bearing static and moving loads. Taralay Premium Compact provides excellent resistance to static and dynamic loads. It has extreme traffic resistance with a 1mm wear layer which has no filler for outstanding abrasion and scratch resistance with quick indentation recovery (0.02mm) and superb dimensional stability with minimal rucking when heavy objects are wheeled across the surface. This multi layered vinyl flooring has a long-lasting appearance through the incorporation of densely pressed colour chips in the wear layer. As with Taralay Premium Compact, Taralay Premium Comfort from Gerflor provides the perfect solution for heavy traffic areas with a wear layer of 1mm, also with no filler for outstanding abrasion and scratch resistance. Taralay Premium Comfort delivers very high acoustic performance (17dB) and has an indentation resistance to 0.06mm. It has a double glass fibre grid plus VHD foam backing. Taralay Premium Comfort also has a long- lasting appearance where the design remains within the whole thickness of the wear layer. Both Taralay Premium Compact and Comfort are treated with Evercare™, the latest unique improvements in polyurethane surface treatment obtained by UV laser cross-linking. Evercare™ provides outstanding chemical stain resistance and increases the long-term durability of the flooring. This treatment has excellent maintenance characteristics; it requires no wax for life. This innovative stain shield blocks even the toughest stains and delivers a soothing matt effect for a very modern look. As with most flooring products these days sustainability is a key factor in both manufacturing and performance. Taralay Premium from Gerflor delivers the ultimate sustainable choice providing; excellent indoor air quality, VOC emissions < 10μg/m3 after 28 days. It is M1 and FloorScore® certified and is 100% Reach compliant, Phthalate free (except recycled content). made with 53% recycled content and is 100% Recyclable. The current legislation is there for a good reason and Gerflor are at the forefront of these strict guidelines ensuring that they, as a manufacturer, not only heed but lead. Customising a floor has never been easier using Gerflor’s ‘My Premium’. Designers and specifiers can simply select their design, choose their granules and visualise a concept on mypremiumbygerflor.com, this can then be manufactured to a tailored requirement and is subject to a minimum order. With a combination of 150 different colours to choose from it is a solution that is perfect for bespoke projects with a creative twist. 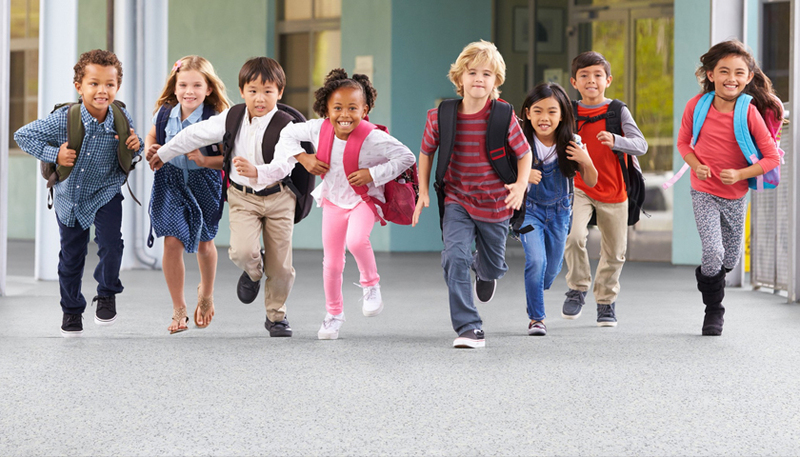 When time means money and the project has no time for stoppages, then Gerflor’s Premium renovation tiles are the perfect solution; hard wearing modular tiles 635 x 635 mm with installation on virtually any type of surface (including asbestos subfloors). This solution is fast to install and has dovetail joints that can be simply knocked into place. The Premium range can also be used in conjunction with Gerflor’s Dry-Tex™ System which is a roll solution perfect for new construction or refurbishment projects with high moisture subfloors. Learn more about Gerflor solutions, ask for a free sample or contact us to speak to a specialist today by calling 01926 622 600, emailing contractuk@gerflor.com. To find out more about acoustic vinyl flooring by Gerflor, please click here.